Getting off the usual beaten track has certainly given me a much deeper appreciation of your beautiful land, and its wildlife, as well as the people! Every day for me was a real treat! 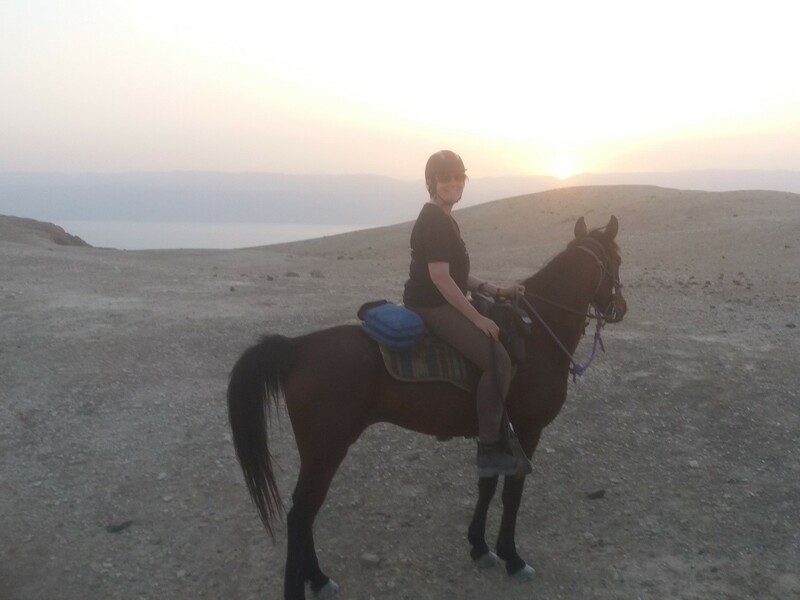 I so enjoyed the rides out in the Judean desert – and especially our last day’s ride, but the Galilee with the amazing views, and seeing the gazelle and rock hyrax etc was incredible too! Plus our swim in the river after that first day’s ride was sooo refreshing! I must say that I really appreciated the knowledge that you so freely shared with us all. You did a very refreshing commentary on all of the sites and places (and especially at Masada!). We were so well looked after! And I loved the food – such a treat (and especially to have those two amazing but very different dinners with both Yochi and Mousa – wow, they were a real highlight!). I wasn’t sure what to expect, when I came, but I was really impressed with the standard of your horses, and your care of them. Each one of us were so delightfully well matched with our horses!